I know this may seem somewhat of a redundant post doing two in one evening but this doesn’t really belong there and it should be separate and distinct. Rather than being a story related article, its more of a nuts and bolts piece; a glimpse behind the curtain. When I started gaming miniatures were not exactly the norm, you could quite happily get away without using them but they did add another dimension to the game. You could see where people were in relation to the things that were trying to eat them and it was a good thing. So while the added dimension was worth it the many complications weren’t and slowly I gave up trying to use them. When D&D 3 was released like many other gamers I picked up a wipe clean ChessexTM battlemat and wondered how I was going to portray the action to the players. That’s when I discovered the joy of map tiles, pre-printed tiles you could purchase on-line and print them out to assemble a map. I bought a few, printed several out, cut them and laminated them to great effect but there was also the added work of trying to assemble a dungeon that resembled the one in the module that you had. It was about this time that I discovered Fiery Dragon Press, a company producing 25mm tokens in packs that you could buy and cut out, so if you needed a few goblins you were covered. The quality was certainly a step up in the counter market and I got a lot of use out of them. They later sold CD-ROMs packed with the images and you could easily print one or two or even a whole host of these tokens for you game. Since they were paper you could abuse them knowing that more could be printed out for another day. Anyway, moving the clock on a bit further I came across Roll 20 the Virtual Table Top, a browser based service that lets you play virtual games with your friends almost as though you are sitting around the same dining room table. A system like this calls out for quality maps and tokens and this is what I wanted to draw your attention to; several manufacturers who produce high quality products for you to use. I’ll add more posts as I discover and use more content. So the All Flesh Must Be Eaten campaign carries on. The intrepid heroes heave made a bold escape from a diner out on the middle of the interstate and are speeding back to their city in a school bus that was found in the parking lot. With the diner stripped of the food, something in the region of 45 days of canned food and several new survivors added to the team, at least the players have replacements in case somebody succumbs to the plague. I have spent some time considering this post, an origin story of how I got started in gaming and rather than stew on it for much longer thought it about time I put pen to paper. My first ever RPG was 1st edition AD&D, I spent a weekend poring over the players handbook which I purchased from my local games store; the long since closed Games World in Hammersmith for the sum of £11.95. After much deliberation and some consultation with the DM I created a cleric. We played one session as the group sort of broke up after that. At that point I was hooked. I played with several different games systems from the heavy simulationist Phoenix Command and the sci-fi version Living Steel to other systems. Phoenix Command Combat System (PCCS) was a real revelation to me, I had never imagined such a detailed game could exist and I devoured it, charts and all. Of course some people claimed it was cumbersome and somewhat unwieldy in play and I agree that they were right, but if you wanted to know the effect of a bullet on the body you could certainly do so. I still have the books and supplements but haven’t played it in a very long time indeed. In fact I don’t think you could play it, rather experience it would be a more apt description. Living Steel was the futuristic equivalent of PCCS and had everything I wanted in a game; power armour, teleportation, strange aliens, a lifepath based character creation package which threw you into various periods of the climatic battles before your character was frozen and shipped off for revival at a later date. The problem was that it was rather deadly and also a sandbox environment. I lusted after more strange worlds to plumb the depths of my imagination during which period I stumbled across Call of Cthulhu the game of Lovecraftian horror where your poor character could go mad rather than die. I have a lot of fun with CoC, even if I do make the occasional blunders as the GM and trying to maintain an atmosphere is very tricky but it is a game of the Jazz age and who doesn’t like the idea of standing on the running boards of someone’s roadster while blazing away with a tommy gun? So there we are, a brief if somewhat rambling introduction. A quick disclaimer before I write this review. A long time ago I used to be a play-tester for Eden studios but that was for the Conspiracy X game line and not AFMBE. Since I’m going to be running All Flesh Must Be Eaten I thought I’d do a quick review of the core book. I have three different editions of the book; two printed and a pdf version of the revised edition. This review is therefore of the revised edition. What grabbed me about the whole game was the ability to not just do a Romero style zombie game; of which you can find an example in the books Deadworlds chapter; but the whole tool-kit approach. The game gives you the tools and you can craft your own tailor made zombie apocalypse. 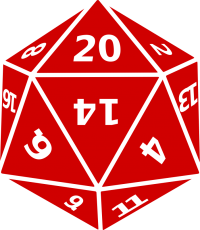 The game uses the Unisystem mechanic and requires nothing more than an ordinary d10 to resolve actions. At the simplest level this involves rolling stat + skill + 1d0 and try to get higher than 9. It is an easy system and the genius lurks in the design of it. Take combat for example; if you wanted to fire a pistol then rolling your characters skill and dexterity seems a logical combination. What if you wanted to aim? Some games just give you a flat value to add to your next attack, AFMBE allows you to roll perception and handgun skill with each success level adding +1 to your next attack roll. This makes it easy to add to the Roll20 virtual table-top as you can easily script macros to take advantage of the flexibility of the system. The game also contains several example player characters in the archetypes section. These can be used as is, as a inspiration for an new character or as an NPC. I do like this approach as it can get you into a game quickly and with a little difficulty. Finally the revised edition has rules for using it with a very popular d20 based gaming system. In conclusion, if you want a tool-kit to create your own zombie apocalypse then this game does take some beating. If I had one complaint to raise it would be the lack of bookmarking in the pdf but I think this is a small price to pay for such a fun game. I’ve always looked at a zombie apocalypse game and wondered what is the best way to play it. Do you do it as though the zombies don’t exist in modern cinema and the players are reacting to the threats anew or do you embrace the genre and say the films have been made? Since session two of the campaign has come to a close and after a player specifically asked me the question I decided to go with the latter option; George made his movies so the head is a suspected weak point for them. That isn’t to say that there aren’t going to be surprises for the party as having everything like the movies can become predictable. With one of the group seizing the initiative the party has made inroads into obtaining supplies and gear for the long haul. Which I think is a good thing as what I have to unleash is a sandbox environment with its own strengths and weaknesses. As an aside, I do like the sandbox style of play but you do need a spine to hang it off. I understand that some sandbox computer games can leave the players wondering what to do as there can be too many choices or too much freedom. So the party has left the woodland camp and is off in search of a nearby roadside diner. So as as game of many years I have accumulated quite the collection of knick-knacks, gee-gaws and other assorted gaming stuff. None of which compares to my dice. I’m fairly suspicious when it comes to dice and I always took the opportunity with a new campaign to buy some new dice, in the hope that they would be lucky. The last set I purchased were metal with a nice gold finish and a suitable heft to them. I bought them because I thought that they would be unbiased and not have the same problems as my plastic ones. The problem is that the d20s are a little biased and tend to roll high numbers. I still have the set of dice that I bought for a player who suddenly passed away; they have never been used and not taken out of the polybag in which they came in. I think I shall keep them that way, a reminder of the gamer who is no longer with us and the chair which will never be filled. Perhaps I shall also break my Traveller 5th edition dice out and give them a whirl; even if they are a bit larger at 19mm than most of the d6s I have. 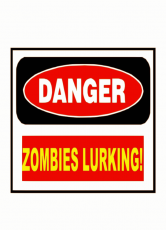 So I’ve just started running a one shot with All Flesh Must Be Eaten; the game of zombie survival horror. The idea of this was so that we would have something to run when we found ourselves down a player for whatever reason and it seemed ideal as we could handwave the reasons for the missing player; they’re off gathering fuel etc. So I broke out the pre-generated characters that came in the Zombie Masters screen and quickly added them to the Roll 20 virtual table top software which we’re using for the other campaign. I know many players prefer to create characters but for a game like this is wasn’t worth it and the supplied characters are pretty interesting in their own right. Coffee Break of the Living Dead is the supplied adventure and it works very well. I liked the fact is that it branched giving less of a railroaded outcome and I made a small mistake when I did a little map substitution but nobody seemed to notice so that’s good 🙂 . We all had a good time despite getting the usual Skype drop-outs but that isn’t a major problem. I have one more adventure to run before I decide to unleash them on a campaign pack I purchased, a campaign with a very definite time-line and end-game.